I want Londoners to be secure in their homes. To feel that they are part of a community that they can enjoy, shape, and design - and afford to live in. 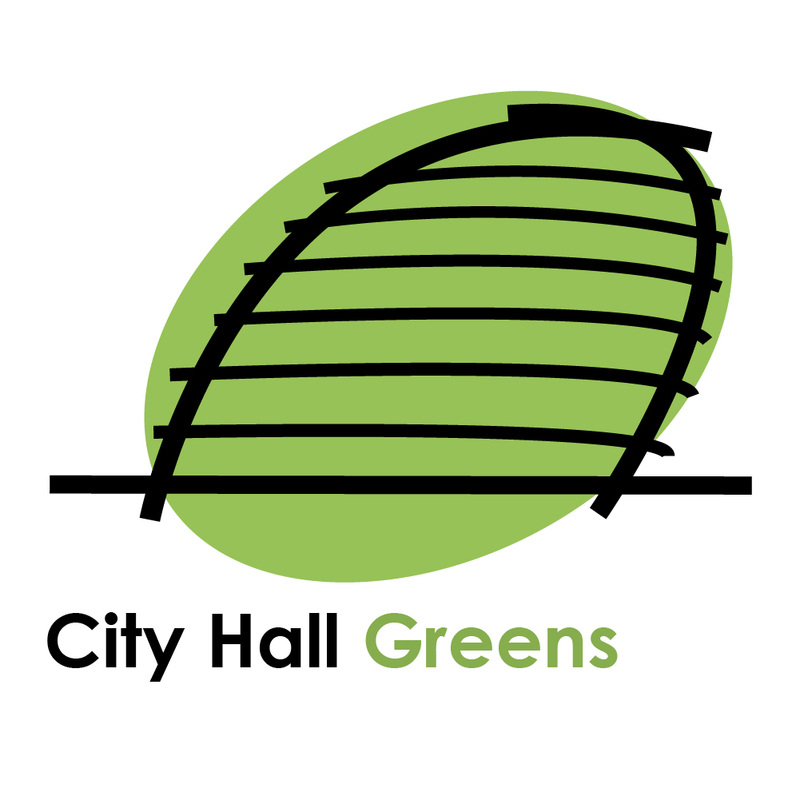 I support private renters, estate residents and campaigns and communities across London, and chair the Housing Committee in the London Assembly. I sit on the London Assembly's Police and Crime Committee, where I help hold the Met to account. London needs a diverse police force that works with communities to reduce crime, and services and support for bringing people closer together not dividing them. 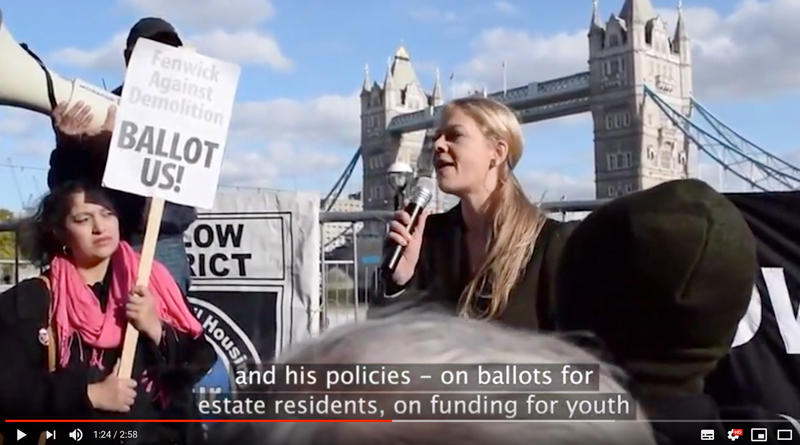 I want to help Londoners reclaim their rights and their city. 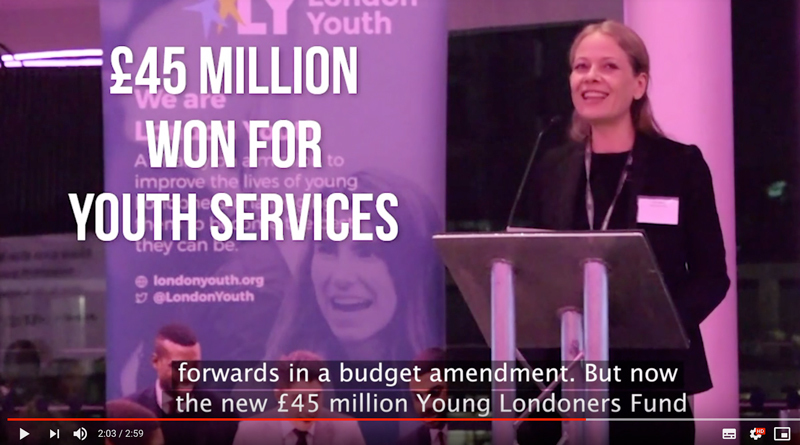 In all my work I put listening to people first, and help Londoners to have more influence on decisions and run their own communities. 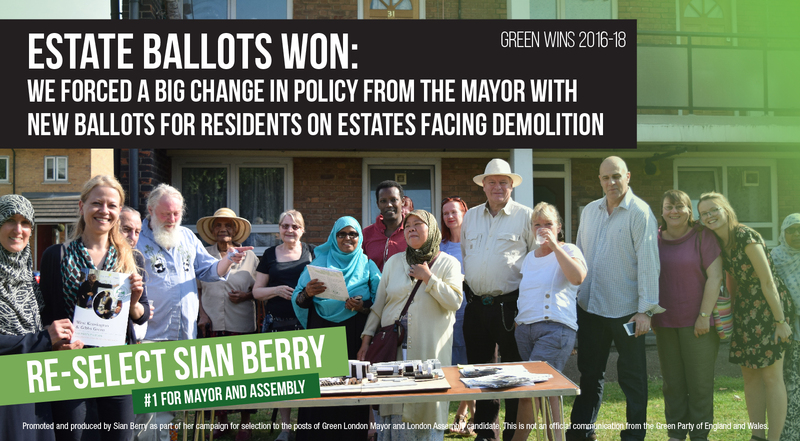 Thank you for voting for me and the Greens in the 2016 London Election! 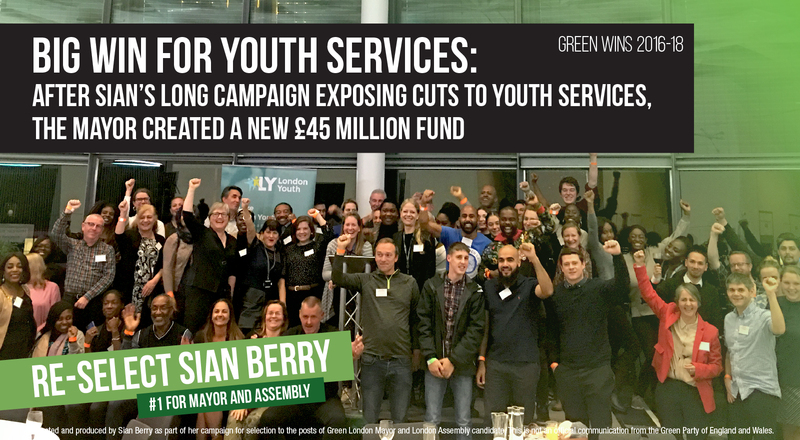 I was third in the race for Mayor, with a record vote for a Green candidate, and was elected to the London Assembly alongside my brilliant colleague Caroline Russell AM. 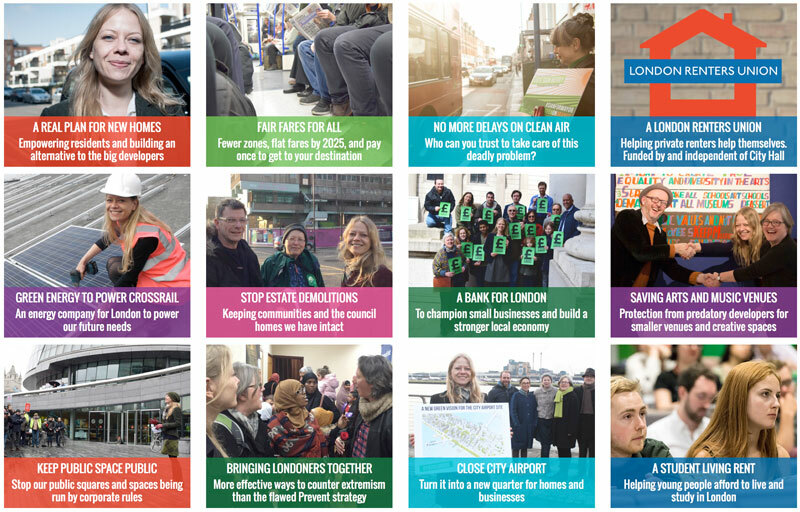 Find out more about the good ideas for London we put forward in our campaign here. This website is where you can read about my latest news and campaigns. 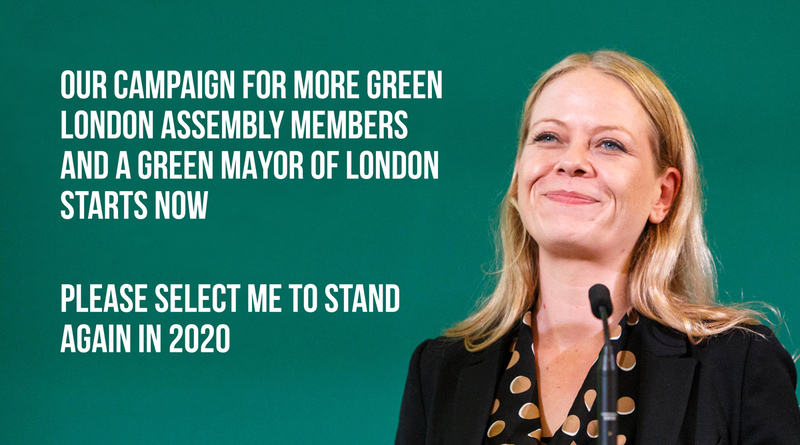 And if you want to support my work and hear more from me and London Green Party sign up here. 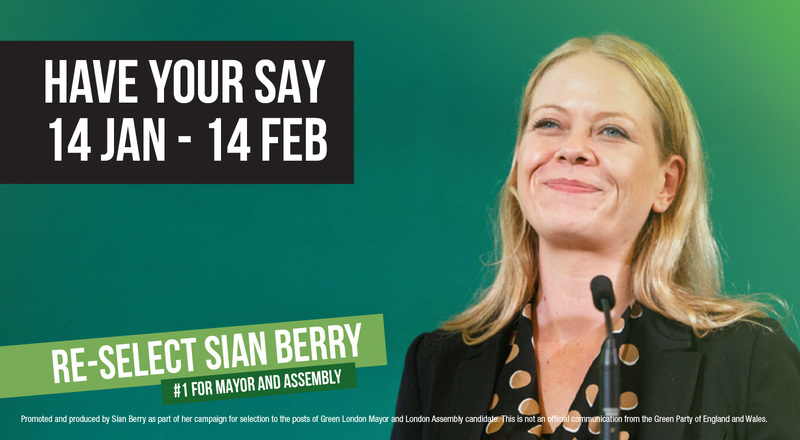 Promoted and produced by Sian Berry as part of her campaign for selection to the posts of Green London Mayor and London Assembly candidate. This is not an official communication from the Green Party of England and Wales.